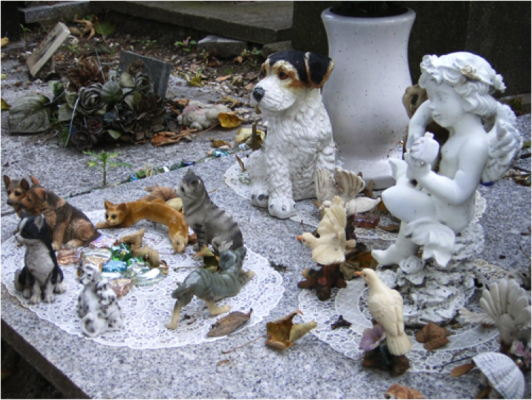 Cimetiere des Chiens, a cemetery for dogs and other domestic animals, is said to be the world’s oldest public pet cemetery. It is located in Asnières-sur-Seine, a commune in the northwestern suburbs of Paris, France. Opened in 1899, Cimetiere des Chiens was a response to a French law stating that pet owners are not allowed to dump the dead bodies of their animals in the garbage or the Seine River. The most famous gravestone belongs to Rin Tin Tin, the legendary American dog that starred in various Hollywood movies.